On the final day of the Marine Hotel Association’s (MHA) Europe Conference in Barcelona, a number of cruise line executives tasked with purchasing and supply chain management talked to a large group of suppliers regarding distribution, pricing and more. The conference, attended by a range of cruise lines going from Royal Caribbean to Disney, and also including Pullmantur, Holland America, Lindblad and others, was the second event for the MHA in Europe. “We set a global standard in terms of pricing, so we look all over the world,” said Michael Jones, vice president of supply chain for Royal Caribbean Cruises, saying that Royal will buy both globally for its ships, but also locally. Jones continued by telling the audience of suppliers that the more that cruise lines localize suppliers, the more flexible they can be. “The bar is very high when it comes to delivery for a cruise ship,” Jones continued, adding that local suppliers should go directly to Royal’s procurement group in Miami to be considered. 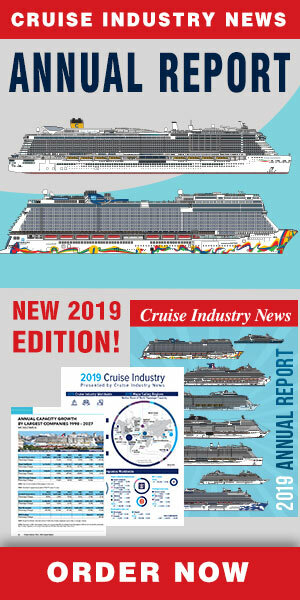 Philippe Faucher, managing director of Barcelona Europe Supply/The Apollo Group, which provisions a number of ships including Oceania and Regent vessels, said suppliers need to come up with innovative concepts for cruise lines – and those should add value to the experience for passengers. Talk at the conference and trade show was one of increased budgets from some cruise lines, facing not only pricing pressure on food but a need to drive demand and differentiate themselves from one another. Jones added an example of proteins being a hugely important area to the food and beverage experience – and he noted how bacon was being prepared on ships that would clump them together with too many in the buffet service. That resulted in changing the preparation so passengers could pull the servings they want, and not get multiple servings – helping drive a better experience and savings, while not throwing money away.